If you're thinking about making your home smarter, or just adding an extra speaker to your house, now would be a good time to do so. 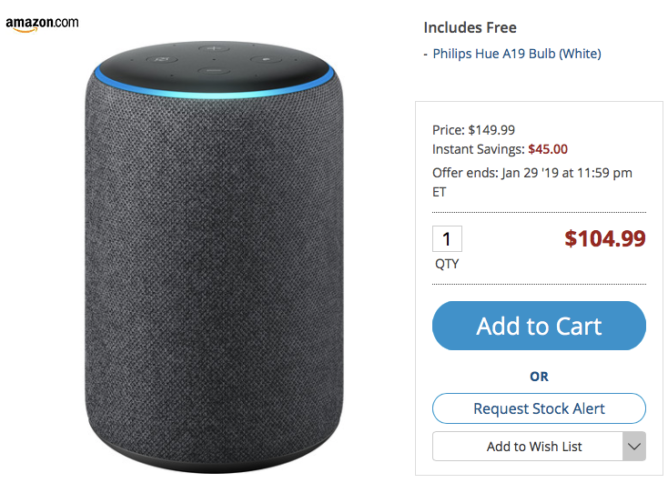 B&H is discounting the second generation Amazon Echo Plus smart speaker down to $104.99 for a limited time, and throwing in a free Philips Hue A19 bulb, otherwise worth $14.99. With this deal, you get $165 worth of products for just $105. The premium speaker is amongst the most appreciated ones on the market, thanks to Alexa's helpfulness and its seven microphones, but also its integrated Zigbee hub, allowing you to communicate with many smart devices without the need for additional hubs. 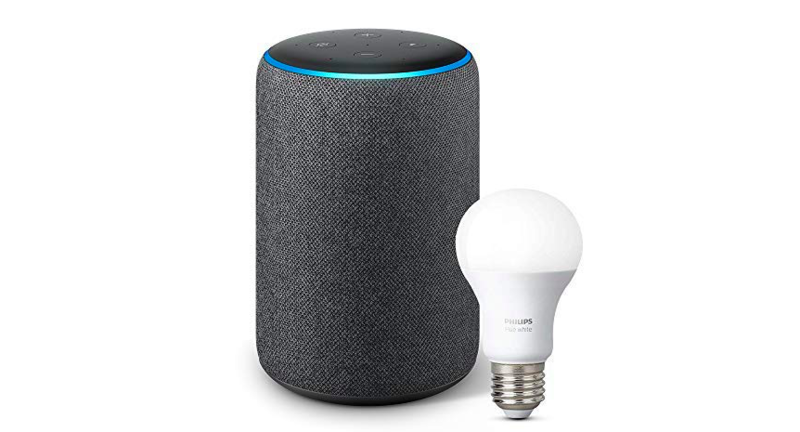 Therefore, you won't need to spend extra money on the $59.99 Philips Hue Bridge to operate the included lightbulb, as the Echo Plus itself will act as the controller. Amazon also includes a free bulb with the Amazon Echo Plus on its site, but the $45 discount on B&H makes it a much more exciting deal, actually coming in cheaper than just buying the Echo Plus by itself. You can get the device in Charcoal, Heather Gray, and Sandstone colors for the same price, although the first two won't ship immediately as they're being restocked.